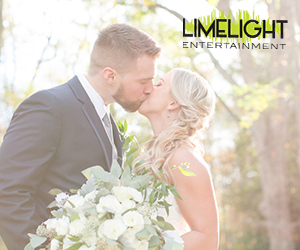 The days are getting longer and slowly, but surely are even getting a little warmer and more gorgeous outdoor weddings will be hitting our inbox. Until then though, we’re going to spend our afternoon gazing over this gallery sent to us by Erin Lane Photography. While the rustic elegance instantly captured our hearts, it was the picturesque ceremony setting that had us singing with excitement. Not to mention, those darling little Christmas trees proved to be a wonderful backdrop for portraits. A stunning lace gown with an illusion neckline, burlap, wood slices, mason jars, and a cupcake display are just a few of the details you’ll find in this gallery below. From Erin Lane Photography…Who would have thought that your soul mate could be a coworker you worked with 7 years ago!? For Don and Jean, they worked together one summer while Jean was home from college. After working one summer with Don as her manager, she went back to college without thinking twice. On one visit home, Jean and Don bumped into each other during a night out with friends. Don and Jean were married on September 2, 2017 at Emmerich Tree Farm in Warwick, New York. Their party was nonstop with the best music being played by Elite Rhythms Entertainment. It was a wonderful time celebrating Jean and Don’s love and happiness at the Emmerich Tree Farm!